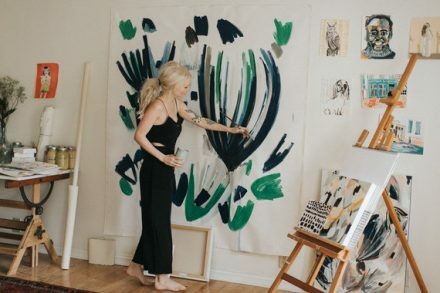 Minted, a San Francisco, California-based design marketplace that connects consumers with independent artists, acquired Guildery, a destination site enabling designers and consumers to create and customize fabrics and home decor. Co-founded in 2013 by Shane Reilly and Kelly Berger, Guildery curates exclusive designs for the home and edits them into color-coordinated collections. Similar to Minted, the company offers on-demand textile printing and manufacturing for each buyer’s unique purchase. It has secured $2.1m in seed funding from Forerunner Ventures, Cowboy Ventures, SoftTech VC, and AOL’s BBG Ventures. Led by founder and CEO Mariam Naficy, Minted entered into the home decor market in August 2015, with the introduction of Minted Home, which has more than 80,000 unique SKUs today. Its global community of independent artists creates textile designs that Minted manufactures on-demand to produce high-quality pillows, curtains, table linens, lampshades, and more. The addition of Guildery will allo Minted to expand its home decor business. Following the acquisition, Shane Reilly will join Minted as Head of Strategic Partnerships and Jeff Marion, Guildery’s Vice President of Engineering, will lead Minted’s E-commerce Engineering. Minted has raised $90M since launching in 2007 and is funded by Benchmark Capital, IDG Ventures, Menlo Ventures, Norwest Venture Partners, Technology Crossover Ventures as well as angel investors.